Astragalus refers to the root of Astragalus membranaceous, a plant that grows in northeast China, mainly in Inner Mongolia, Heilongjiang, Liaoning, and Jilin provinces. This root has been used since ancient times as a tonic, and has been the subject of intensive research in modern China. Perhaps best known today for its immune regulating effects, astragalus is also utilized in traditional Chinese medicine to benefit digestion, promote circulation, alleviate edema, and reduce excessive sweating. Among its active constituents are the flavonoids that give its flowers and roots their yellow color. Astragalus has a mild sweet taste, making it suitable for convenient ingestion in liquid form, such as the vials of astragalus extract produced in Jilin. This province is famous for its tonic herbs, including ginseng and deer antler. The extract in vials is produced at the Changchung Chinese Medicines Factory, in the capital city of Changchung ("Spring City"). Changchung is a beautiful forest city, surrounded by hills. The low mountains 50 miles from Changchung, rich in natural resources. 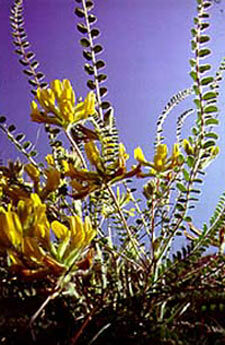 The astragalus extract is provided in vials of 10 cc each, to be consumed 1 bottle each time, twice per day. The vials contain a small amount of honey as flavoring and preservative and a small amount of alcohol that is residual from the extraction process using alcohol and water.